A wedding program and brunch card are a great addition to any wedding day. 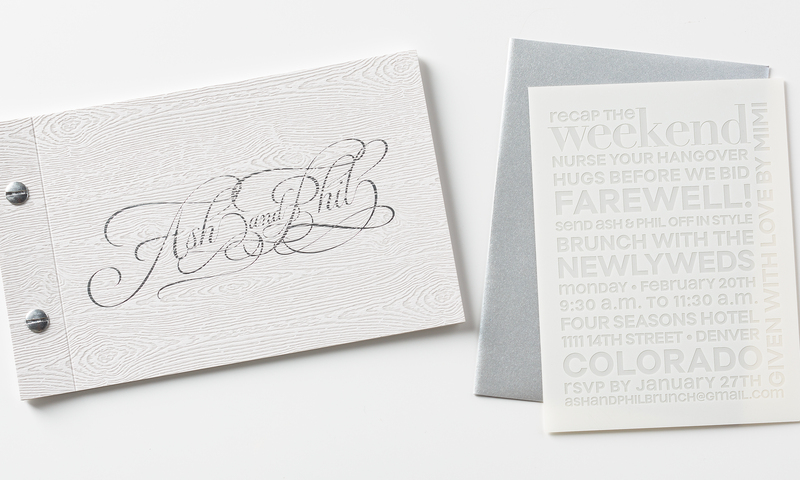 The program completes the invitation set, with use of texture and beautiful script. 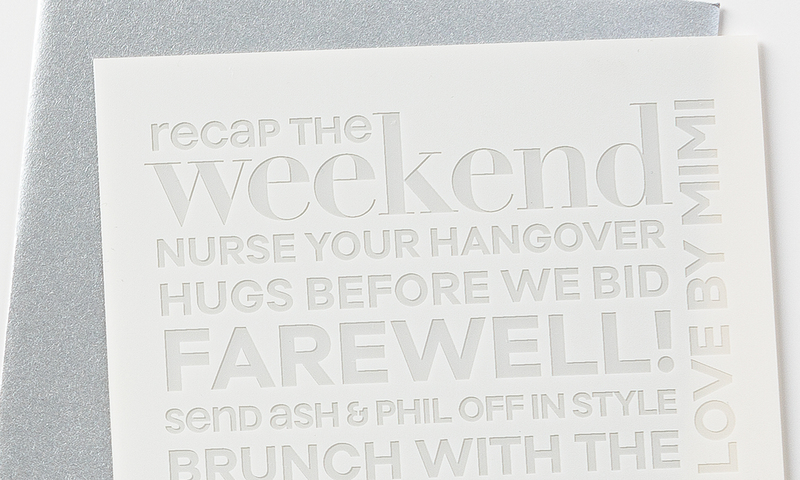 The brunch card which is printed on clear flexible plastic uses more modern typography, but remains in the style and color of the original set.